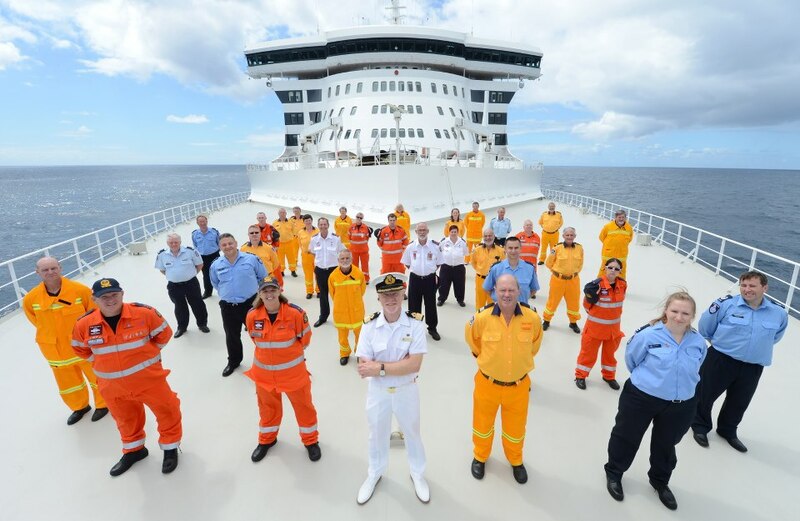 SES volunteers take prime position aboard QM2. Ms Sherry shared Mr Shanks’ sentiment and said that Carnival Australia was pleased to be able to assist in thanking the group. “As a nation we are in awe of these people who offer their communities unparalleled commitment when nature is at its most dangerous to lives and property,” Ms Sherry said. Queen Mary 2 also played host to an auction onboard with all proceeds going to the Australian Red Cross 2013 natural disaster appeals. What a great way to thank our hardworking volunteers – great work Cunard and Carnival Australia in putting this together!